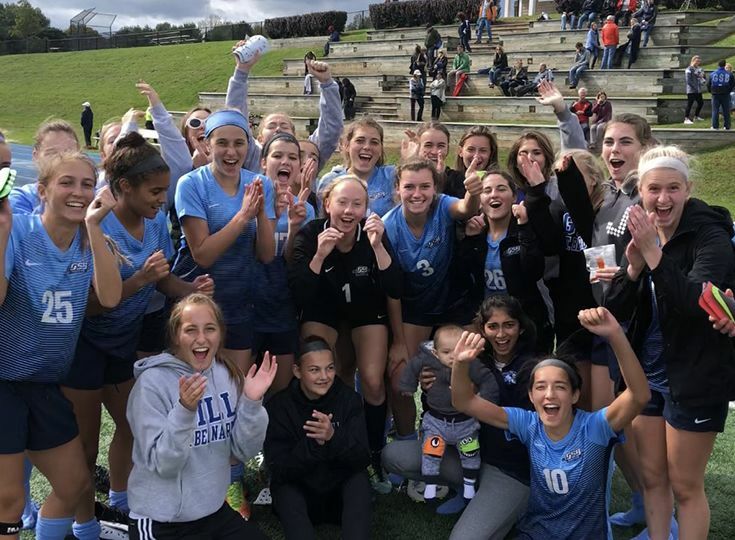 The girls’ soccer team enjoyed an exciting win over divisional rival Immaculata on Saturday, October 20, as the Knights pulled out a 2-1 victory in overtime. It was a big win for Gill as Immaculata was only one game behind the Knights in the Skyland Conference Mountain Division standings. A loss would have given the teams the same divisional record, but now Gill enjoys a two-game advantage over the Spartans. Ava Kolb ‘20 scored a goal to tie things up, and Hayley Goldin ‘19 scored the game-winner in overtime. Fellow Eve Ryan ’19 recorded an assist as did ’20 Emily Raia. Teresa Zimmer ‘20 was again phenomenal between the posts as she recorded 14 saves to help secure the win. With the win, Gill remains atop the divisional standings with an 11-1 record.